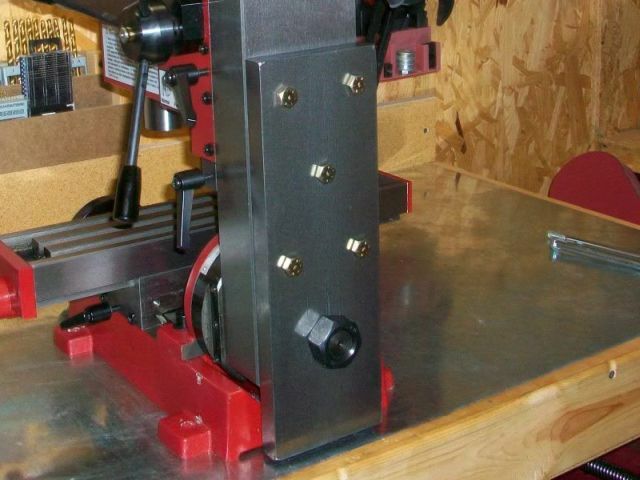 There’s an excellent thread over on the Home Model Engine Machinist forum that describes a modification for reducing the X2 mini-mill’s notorious column flex. It looks like it would be fairly simple to do. The hardest part might be cutting a 1-inch thick steel plate to the proper size (or paying to have someone else do it). You’ll also have to drill and tap holes in the mill, but the author demonstrates how he did it with a hand-held electric drill. I’m wondering if this mod could significantly improve the mini-mill’s ability to remove metal by reducing chatter so you could make faster or deeper cuts. Success in life has nothing to do with what you gain in life or accomplish for yourself. It’s what you do for others.